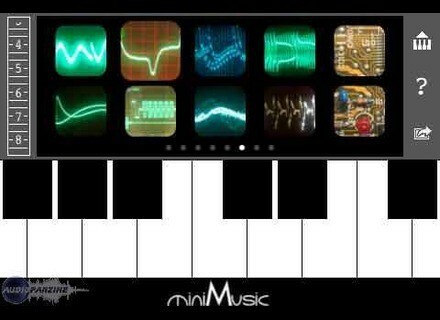 Pianofly, Other Virtual Synth from Minimusic. 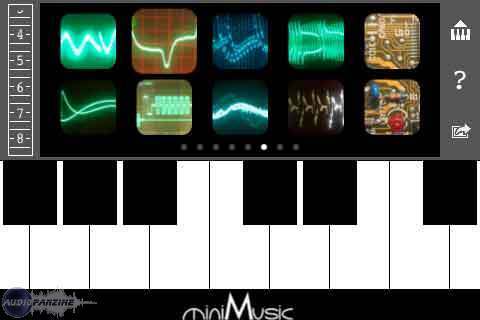 MiniMusic has released Pianofly, a music synthesizer and piano keyboard application for Apples iPhone platform. Pianofly includes a scrolling, multi-touch keyboard. Sound is generated by an FM synthesizer, with an interface designed to allow anyone to create and edit instrument sounds easily. Other piano applications for the iPhone generally show just one octave of keys, miniMusic says, then use tiny arrow buttons to shift up or down an octave. The keyboard in Pianofly is designed to move with you, scrolling as you play. The sounds include eight pages of customizable instrument icons. Planned improvements include multi-track recording and additional wave types and effects like reverb or flange to design even more elaborate sounds. Check out www.minimusic.com for more details. Softube Bass Amp Room Softube is shipping the Bass Amp Room plug-in for native VST, AU, RTAS. M-Audio Axiom Pro 25 & Pro 61 The new Axiom Pro 25 and Axiom Pro 61 MIDI controller keyboards feature M-Audio's HyperControl technology, designed to automatically map and continuously sync the units' LCD and MIDI-assignable controllers. Back in Time Records TSW Pro II The concept behind the new TSW Pro II is providing a soundworld of sample-based synthesizers in the tradition of the famous 80s instruments Roland D50, Korg Wavestation, Ensoniq VFX.